Joe graduated from Brown University in 2004 with an AB in Psychology and Hispanic Studies. During his senior year he taught at The Groden Center, a day school for children along the autism spectrum. After college, Joe worked first as a research assistant at Memorial Sloan-Kettering Cancer Center and then as a management consultant with IMS Consulting Group, focused on pharmaceutical pricing and market access. 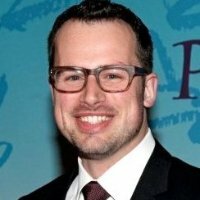 Joe graduated from the Wharton School of the University of Pennsylvania in 2011 with an MBA in Healthcare Management and Marketing and currently works in marketing at Pfizer, focusing on oncology. In his spare time, Joe sings with The Choral Society, a 150-voice ensemble in Greenwich Village.